Comparative Graffiti Study, San Jose is an urban architectural intervention that enabled a controlled study of the production of graffiti across four neighborhoods in central San Jose. 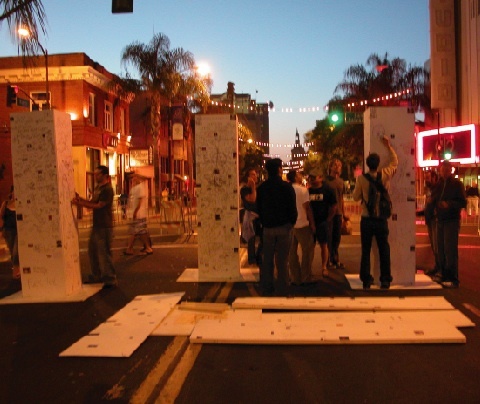 Four 8′x2′x2′ white columns were seeded with identical images and text and then placed in four different neighborhoods around San Jose for exactly 24 hours. 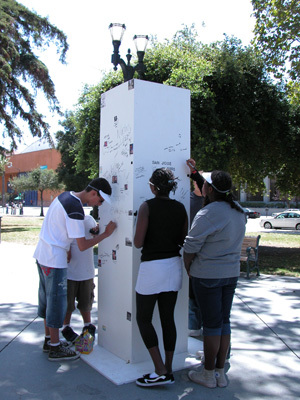 Unprompted, passersby filled up each column with graffiti, thereby capturing an impression of the “psychogeography” of the area into which it was placed.